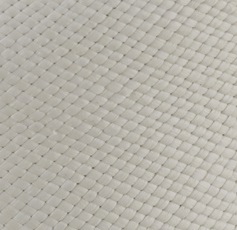 Brisa weave – little diamonds/squares, less intricate in design (in-and-out / weft-and-waft weave), but perceived as finer than Cuenca weave by some as it is lighter. This is where the Paja Toquilla straw is crocheted, as if it were a thread, making for a more robust and hardy finish. 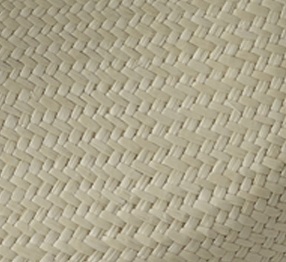 Often using different coloured straws and different weave techniques, the straw is layered or stitches missed out in order to make textures and patterns. Our Genuine Panama hats are woven in Cuenca, Ecuador, where depending on the fineness of the weave, each hat will take longer for the weaver to make. The grades or 'references' refer to the finesse of the weave – so the higher the number, the smaller the weave size, and therefore the Panama will have taken longer to make, using more straw and many more hours! Our 'standard' Cuenca 3/5 Panama takes approximately 2-3 days to weave, whereas our Fino Cuenca 8/10 panamas will have taken 7-10 days per hat; and the finest Montecristi Panamas, woven in the Montecristi region of Ecuador, hence the name, will have taken upto 4 months to make. 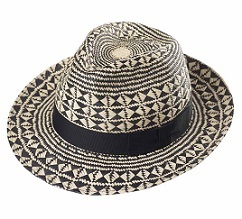 There are various different schools of thought regarding the grading of Panama Hats, with varying differences between supposedly the same grade of weaves from different suppliers. As there is no official Panama Hat organisation in Ecuador, the grading is often determined by the local Ecuadorean suppliers, to whom the independent weavers sell their hard work to! 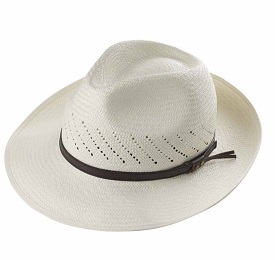 After nearly 30 years working with Panama Hats, as a rule, at The Panama Hat Company we the do not stock the basic entry level quality of Panama straw (grade 1/2) and we do not categorise our hats into specific single grades eg. ref. 3, as this is very much harder to judge and quantify. Instead our grading of ref 3/5 will have an assured quality of between a level 3 and level 5 weave, as this does vary between weavers. Historically used to assess quality, as each Panama hat is started with a number of concentric circles at the top of the crown; there are more, smaller and tighter circles on a finer hat, but this can vary from weaver to weaver. 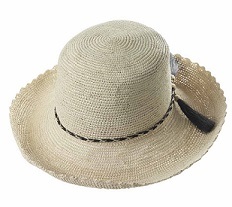 This method is favoured in the USA, and is mainly used for the grading of the finest Montecristi hats, although qualifying the weave in this manner has some discrepancies. Most common method used, although will differ among Ecuadorean suppliers. 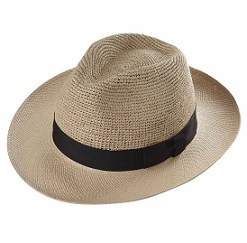 At the Panama Hat Company we use an average grade eg 3/5, ref 8/10 etc and not a specific grade number.